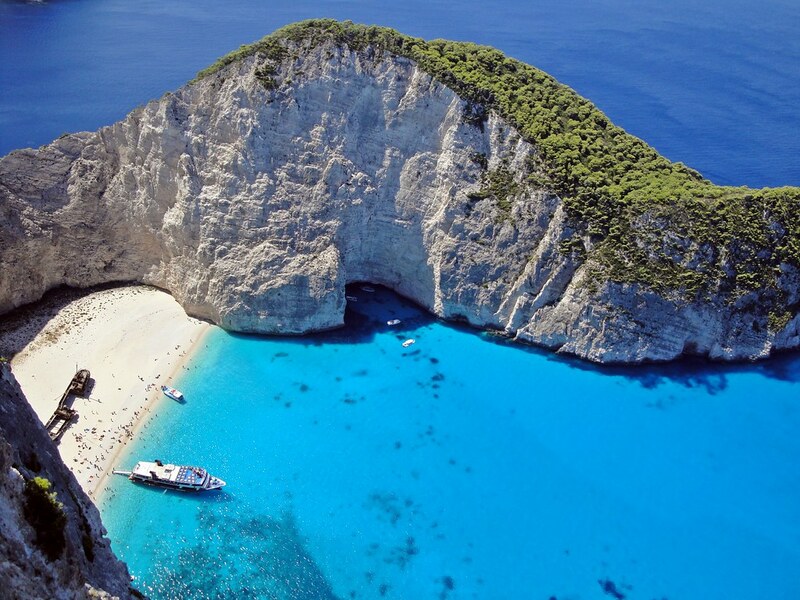 Zakynthos or Zante (Greek: Ζάκυνθος) is a beautiful island in the Ionian Sea, belonging to the Heptanese island complex. It is the eleventh biggest Greek island and it has a population of 38,957 inhabitants as of 2001. The beauty of Zakynthos is perfectly highlighted in the name given to it by the Venetians, "il fiore di levante", meaning "the flower of the East". Zakynthos was already inhabited and well-known in the Ancient Greece and it has been mentioned by Homer in the Iliad and later on in the Odyssey with the name Yleessa (Greek: Υλήεσσα), which means forested. According to Pausanias and Thucydides, the island took the name by which it is still known today around the 1500 BC, from Zakynthos, son of the King of Phrygia, Dardanus. Zakynthos has particularly rich flora and fauna. The high average yearly precipitation has contributed to the island's plant diversity, which —among others— includes rare species of flowers and other plants. The island is also well-known as being the home for the endangered loggerhead sea turtle Caretta caretta and the critically endangered monk seal Monachus monachus, both of them protected by national and international legislations. The blue markers shows the location of various accommodations in Zakynthos. The letter in the marker describes the accommodation types: H for Hotel, A for Apartment, R for Resort, B for Bed & Breakfast and O for Other (e.g. pension, villa). Click on the blue marker for more information on the accommodation.